Sweet Swiss is a milder form of the traditional Swiss Emmental cheese and is good for melting. The distinctive holes in the cheese are created when the added bacteria reacts with the other ingredients to release carbon dioxide which slowly forms bubbles. Officially, the holes created by the bubbles are called ‘eyes’. 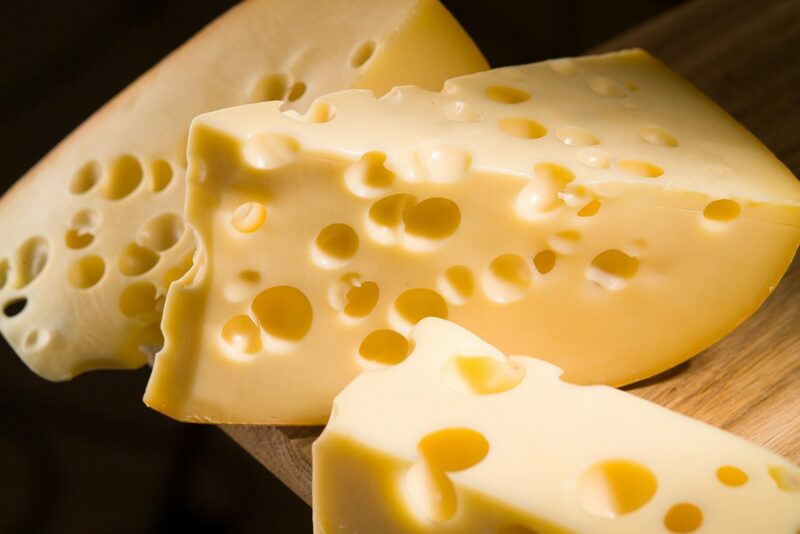 A Swiss cheese without holes is referred to as ‘blind’. As its name suggests, the taste of Sweet Swiss should be less savoury than that of the traditional Emmental. Its texture should be firm and supple.